Brigg Horse Fair. Brigg Lincolnshire England 2009. 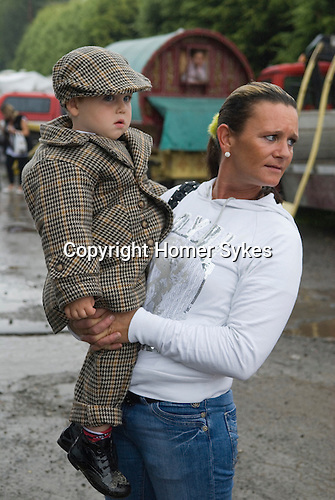 Gypsy mother and two year old son wearing best clothes, a smart tweed suit and flat cap.